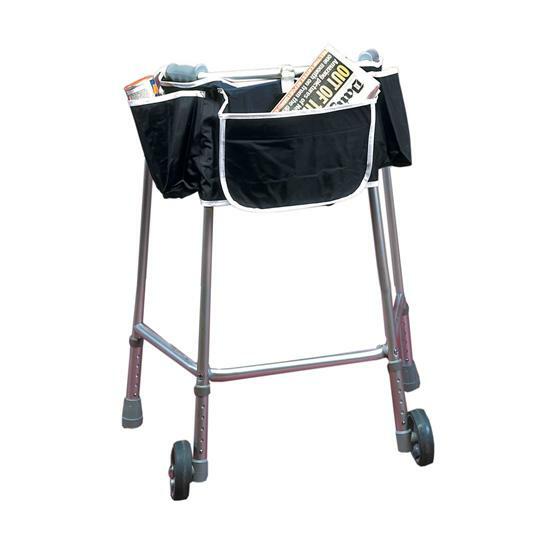 Walking Frame Apron Bag - Tie Ion For Easy Of Use. This handy walking frame bag ties to your unfolded frame to allow you to carry a wealth of items with you on your travels! 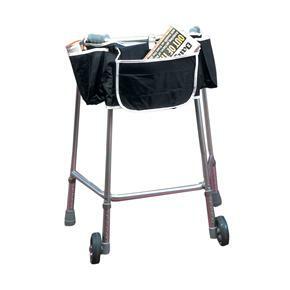 This specially designed bag for zimmer frames has a front and two side sections, and a surprisingly large capacity! No more struggling to transport items. Now you'll be able to carry your books, shopping, glasses - whatever you need, easily and safely - while keeping your hands on the frame...where they belong! Excellent product ! Would give it ten stars if it were possible ! Simple but so very,very useful. Excellent quality & value my mum was delighted with it thank you .